Life is better with friends, and that sense of togetherness will extend to the latest Sony gaming console with the introduction of Share Play, one of several new features arriving with the next big PS4 update. Sony teased a few of the new features coming to PlayStation 4 with System Update 2.00, including the ability for friends anywhere to jump in your game with Share Play. Scheduled for release sometime this fall, the first major PS4 update adds this new online co-op experience described as a "virtual couch," allowing friends to join in the gameplay even if they don't own that particular title. Sony likens the feature to "handing over the controller to a friend on your couch," except in this case, the screen is shared over an internet connection, so PS4 owners can join from anywhere in the world. Share Play wasn't the only new System Update 2.00 feature touted by during Sony's press conference at Gamescom 2014. The company also announced dedicated app support for YouTube, an option promised at E3 back in June. In addition to a standalone YouTube app, the PS4 will also be able to upload game footage to Google's wildly popular video sharing service, making it easier than ever to strut your stuff in front of a global audience. Last but certainly not least, What's New will be adding friend-of-friend suggestions, real name search and instant access to friends' broadcasts or recently played games for "enhanced real-time activity." 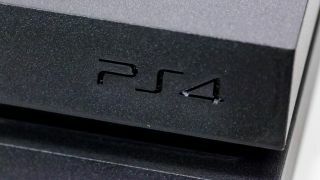 Sony isn't saying exactly when PS4 owners should start priming the System Update pump on their consoles, but the gaming giant did tease additional 2.00 features will be announced "in the coming months."